The Grand Canyon Watchtower at Desert View is a thing of wonder, providing spectacular views of the canyon and other distant sights from the highest point on the South Rim. 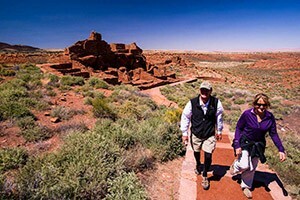 Guided 4-day/night hiking tours to see the Park's best attractions. Excellent lodging options in these packages. What can I see and do at Desert View Watchtower? Views: The Watchtower Grand Canyon is at the highest spot on the South Rim, sitting out on a promontory. 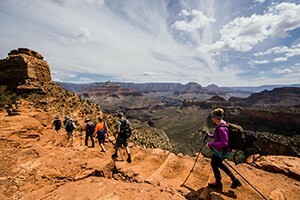 When you climb to the top observation deck, you will see majestic views of the Colorado River, Navajo lands and of course, the spectacular sights of the Grand Canyon. Visitor Center: Be sure to visit the Desert View Visitor Center while you are here. It’s close by and offers special inspirational exhibits. Shopping: At the bottom of the Watchtower, there is a gift ship that provides special gifts and souvenirs. You’ll find southwestern art, Native American arts and crafts and much more. 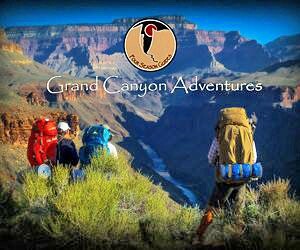 Camping: The Desert View Campground provides convenient camping for visitors, making it easy to stay a while and explore the Grand Canyon. Scenic Drive: Take the 25-mile Desert View Drive from the Desert View Watchtower to Grand Canyon Village. Along the way you can stop at many overlooks so you can take in the beauty that is Grand Canyon. Where is Desert View Watchtower? Desert View Watchtower is located on the South Rim of Grand Canyon National Park. From the East Entrance, drive on Highway 64, turning right towards Desert View. After parking in the Desert View parking lot, walk down a short paved path to the Watchtower. From Grand Canyon Village, drive east on Highway 64 for about 25 miles, taking a left to the Desert View parking area. When is Desert View Watchtower open? 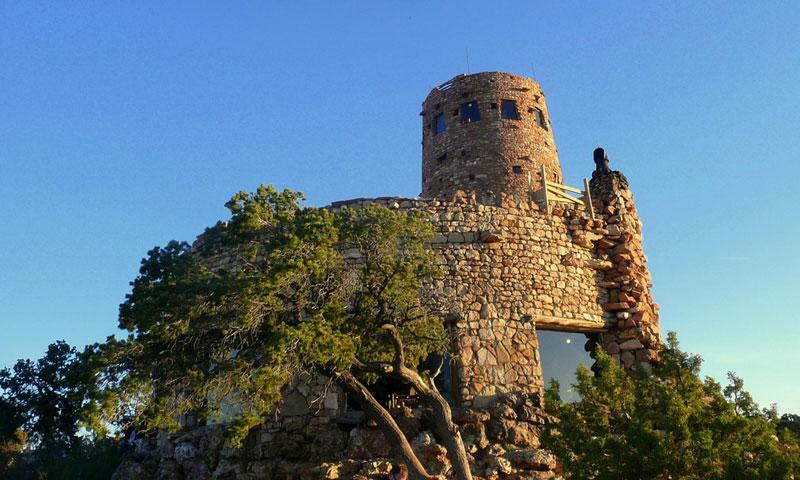 Desert View Watchtower Grand Canyon is accessible all year round. Hours vary according to the season, but typically it’s open from 9 am to around sunset. How much does Desert View Watchtower cost? There is no fee to visit the Desert View Watchtower. If you want more information, call the Watchtower at (928) 638-2736.